The Karvonen formula uses the heart rate reserve — this is a number, the size of the range between your resting heart rate and maximum heart rate. To calculate it all you need to do is to subtract the resting heart rate from the maximum heart rate. You need to calculate this number as it is used to calculate the heart rate zones. The intensity number is defined by the Karvonen Formula. The first three zones are aerobic, the last two are anaerobic. Your anaerobic threshold is around the 80% intensity. 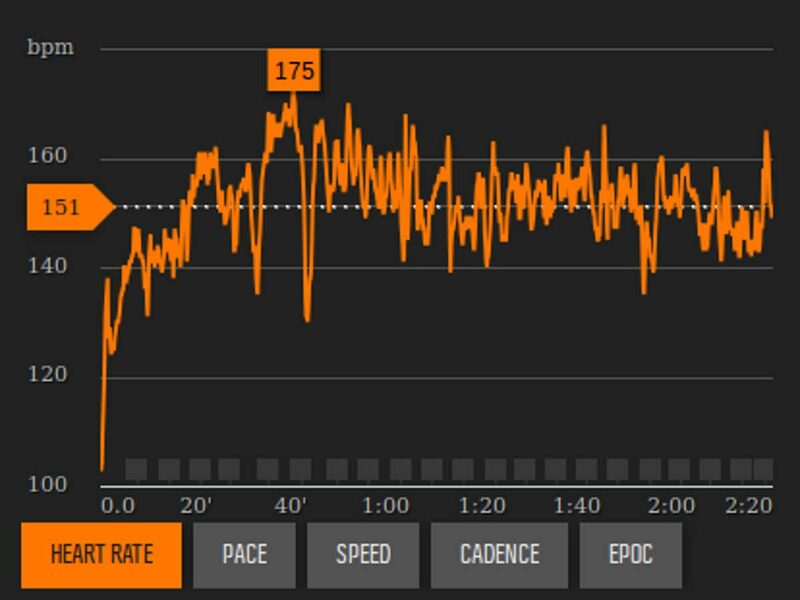 After you apply these intensity numbers to the target heart rate formula you will have your heart rate zones. The last time I have measured my heart rate was about two years ago. I will use those numbers to show you an example. Don’t forget that everyone has different resting and maximum heart rates, so use your heart rates when doing the calculations! All I had to do is to apply the heart rate reserve, the intensity and the resting heart rate to the formula. The only number that changes is the intensity. You can use the calculator to define your heart rate zones.